Jeffrey Marshall offers representation in family law matters to people in Raleigh and Wake County, North Carolina. He has a keen understanding of the impact a dispute can have on a family, and he uses a range of techniques, including mediation, litigation and arbitration to help his clients find the right solution. Whether people are going through a divorce, seeking custody or dividing their assets and debts Jeff Marshall is there to provide them with the legal counsel they need. 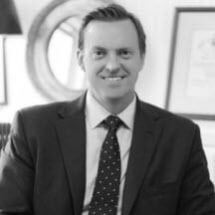 Mr. Marshall is North Carolina Board Certified Specialist in Family Law, he is a certified family financial mediator through the North Carolina Dispute Resolution Commission, he has been named a Super Lawyer, and has also been named as Legal Elite by Business North Carolina. He is considered a top attorney by his peers and has been included in The National Advocates: Top 100. Mr. Marshall is often sought out by other attorneys for assistance with their own family law matters. He has a deep understanding of delicate situations such as high-profile cases and those involving domestic violence, and he approaches such issues with compassion. He and his law office staff explain to clients what rights they are granted under the state’s laws, and they take the time to listen to clients’ needs and goals. When disputes cannot be resolved outside of the courtroom, then Mr. Marshall is a dedicated and passionate advocate for every person he represents.